A native Texan, Rick Fairchild can trace his roots to the Republic of Texas. Born and raised in South Texas, fishing and hunting have been favorite pastimes since childhood. 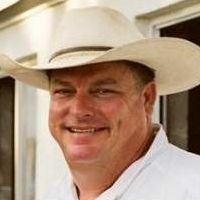 His first real job was driving a tractor on a milo and cotton farm at age 14, and he subsequently worked for cattle and game ranches through high school and college. Rick is a proud Texas Aggie, receiving his B.S. degree in 1981 from Texas A&M University where he commanded Company C-1 in the Corps of Cadets. After a short stint in the oil and gas industry, Rick spent years working in commercial construction, custom home building, and real estate development in the Dallas area. Each fall and spring, Rick displays his skills as chuck wagon cook for two historic Texas ranches, and for a few big hunting camps during the season. He supports Ducks Unlimited and N.R.A. A single and lever action enthusiast, Rick also makes his own gun leather.